Ha ha ha! This is INSANELY INCREDIBLE!!! As always, wonderful work from you and the people who assist you. Thank you for the recent updates and the MiSTer pack! I've had some information that the Super Metroid (JU) rom in the add on folder to this one called the "EverDrive GBA's SNESAdvance Release Thread" apparently does work as does the Super Metroid (E) rom too. The only catch is that you need to use an EZ-Flash IV inorder to play it, as I mostly use official Krikzz devices I have not anything of the kind to see if it works so I will still refer it as broken as when used on a Everdrive GBA X5 device it blacks out after the Gameboy logo appears and fades out while the E one goes past the Nintendo logo but mentions the control deck is being used with a modifying device this may be able to be bypassed with a hex value changed but for now a lot of broken games only work on the EZ-Flash IV. Hello everyone ! big thanks to all the community for your awesome work ! I hadn't come around here since the Super FX crack by Redguy and now I see he's working on SA-1, that's great news ! The sd2snes has been so much fun and it's great to see it updated. So in the meantime I decided to buy the GBAX5 and MegaEverdrive, download all the stuff, GB and SMS included, and even downloaded the NES and PC-E files for my PC emulators. Some of them come with the "Game series collections" by tjstogy, unlike the SNES where it's optional. Those collections are a great work and I get their appeal, no offense to tjstogy, but as I don't want doubles in my PC they are just not for me. Can I safely delete those without losing a rom ? I suppose so but I wanted to ask before I delete them. Thanks again to everyone involved, it's amazing what you're doing for retrogaming ! edit: same for the "Selections" folders into "Hacks", can they be safely deleted ? By the way I noticed a misplaced SNES rom of Taekwon-Do (Korea).sfc in the US folder, and the latest revision of Terranigma(Germany)(Rev.1) is both in the "Other regions" and "Revisions>Other regions" folder. Last edited by retroid34; 7th-November-2018 at 11:43. Indeed Red Guy's Super FX and SA-1 add on to the SD2 SNES has improved the device leaps and bounds now that nearly every single game is playable except 2 to otherwise say. And it's also a good thing you downloaded the other series that were from those other everdrives, though I do not own the Mega Everdrive or the PCE one they were needed for either my Super Card SD and my GBAX5 and as the packs are now a build your own it's a good thing you got the final ones that came out last year I can only hope my external hardrive wont die on me though I have backed them up on my flash carts and stuff too. And yeah I also saw that Korean SFC games are in the USA folder for SNES games, though even a DBZ one slipped in there... I can only presume it has something to do with the region being close to America kind of like how the PAL games had French games in there too. Links are hidden from guests. Please register to be able to view these links. As this was done in the middle of the year I likely will revise over it again eventually and likely can fix even more stuff but for now this is what I could do. anybody been able to get this game to work on the mega drive x3 ? 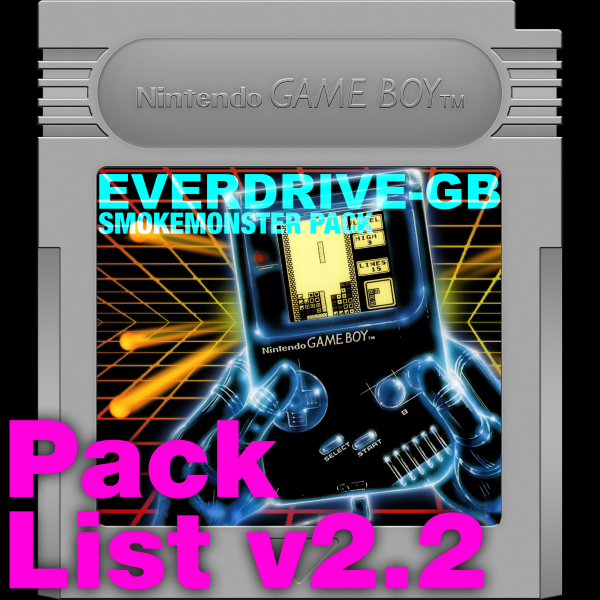 EverDrive GB Pack List updated. - Added Ultima 3 (PD) v0.995 sven 2001-03-20 – Thanks Great Hierophant! - Added the following new romhacking.net Hacks & Translations – Thanks GAME1212! - Added the following new Romhacking.net GB Hacks – Thanks GAME1213! 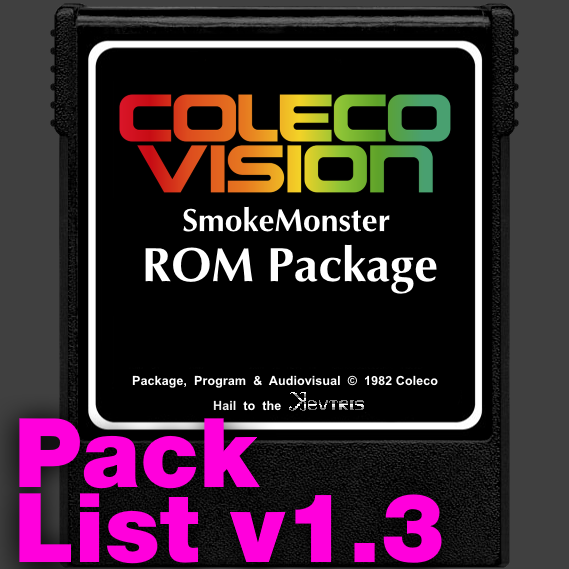 - Added the following new Romhacking.net GBC Hacks – Thanks GAME1213! - Added Little Master - Raikuban no Densetsu (J)T+Eng v1 Zatos Hacks.gb – Thanks GAME1213! - Added Noobow (J)T+Eng v1 Stardust Crusaders.gb – Thanks GAME1213! Does anyone out there know if the files in the ED64 AUTO folder have to be kept in order for the games to work/save properly? Or can I just delete everything in that folder? No, it's not required. AUTO is where you place patch files that you want automatically applied to games. You can read the ED64 Pack List release notes to understand what the included patches are and why you probably want them. DOH! Thanks again and I will most definitely be keeping them Can't wait to try the new non blurred visuals. Keep up the good work, Hopefully Santa is good to you Smoke.